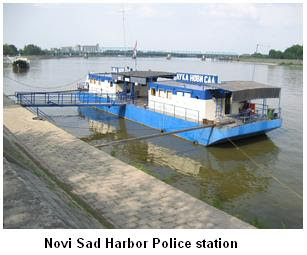 News like this gives me some hope in development of Serbian tourism – Novi Sad harbor is getting a souvenir shop! This doesn’t sound like a big deal, but in many ways it is. Novi Sad lies on Danube, and weekly, big river cruise liners from Germany, Romania, Hungary and Austria pass through. A lot of tourist go out and spend few hours strolling around city center. There are souvenir shops around town, but it was more than logical to put one right in the harbor, where these types of tourists are sure to pass. I’m not big on collecting stuff, but I love nicknack's that I picked up during my travels, especially those that where cheap, small and useless – the exact things this new shop should store. For example, my friend has a collection of fridge magnets he bought during his time in the USA, and it looks great. I hope that ‘’river’’ visitor will be able to get “Greetings from Novi Sad’’ or ‘’Novi Sad ain’t half Bad’’ magnets soon.